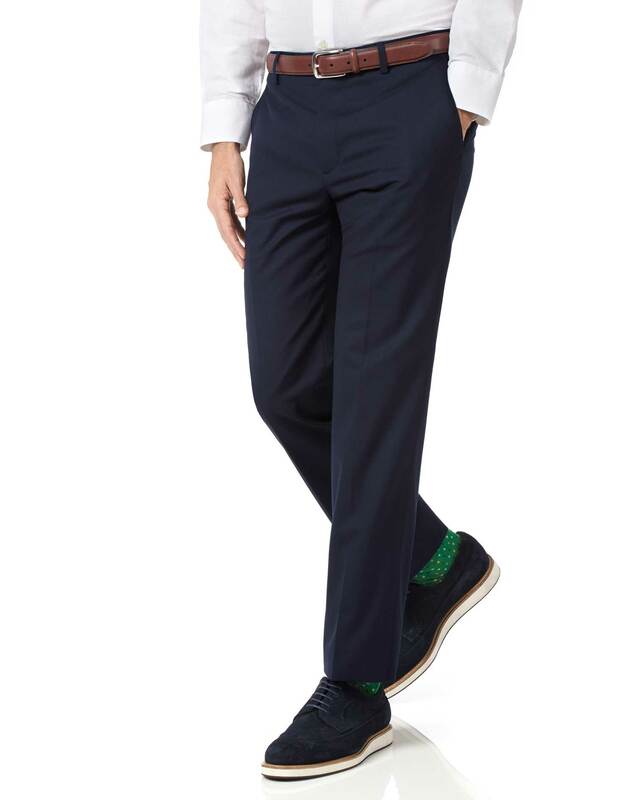 "These are the sort of smart wool pants that make casual Friday a breeze, but we've woven them in a lighter weight that makes warmer days, well, also a breeze!" "The natural elasticity of wool helps to resist creases throughout the day, making these pants an even smarter choice." Very comfortable. Color is what I saw online is what I got it. Material feels warm and smooth. Love it. Good quality but at least one size smaller than stated size. Response from Charles Tyrwhitt: Being a Slim Fit, these pants may feel a touch tighter and I am sorry this resulted in them not fitting perfectly. We would welcome you to return them to us for the next size up, however, and your exchange will be processed as swiftly as possible when using the online return portal (www.ctshirts.com/rebound). We will be sure to take your feedback on board in the meantime, and you may be keen to know we are planning on tweaking our trouser fit/sizing for the second half of the year. Response from Charles Tyrwhitt: As you say, these are described as "lightweight" trousers and are ideal for warmer climates, but I am sorry to see they were just a touch too light in this instance. We appreciate your feedback on them, however, and I'll be sure to pass this on to the Products Team. We are always tweaking and improving our products based around customer feedback to give customers exactly what they want! I do hope you will continue to enjoy our shirts despite this experience with our trousers.